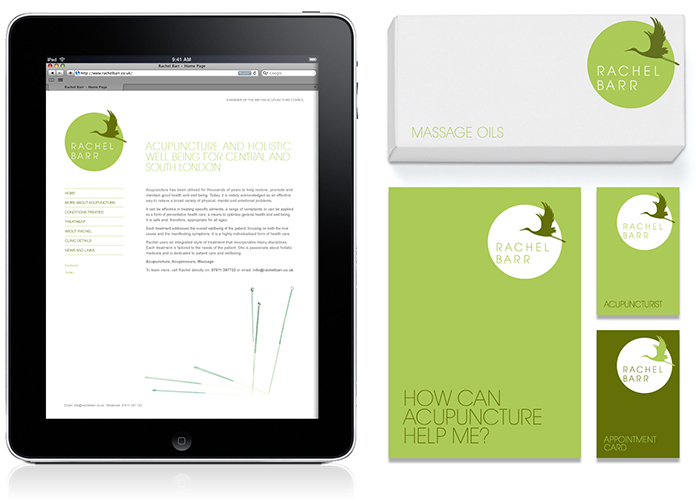 Share the post "Rachel Barr"
Here’s the new brand identity for Rachel Barr, a central London based acupuncturist. Rachel specifically wanted a clean, modern and refreshing identity with colours that reflect health and well-being. The bird in Rachel’s logo is a crane which represents longevity and wisdom in Chinese art, it is also a symbol of luck. The brand consisted of logo, stationery, packaging and website.